Look out! 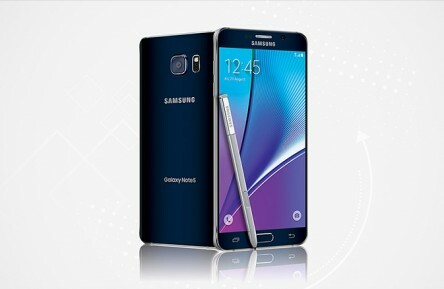 The new Samsung Note 5 is here and it’s bigger and better that ever before. Galaxy Note 5 Repairs are our speciality; while due to Samsung’s fragile OLED panel, screen replacements are the most common repair we perform at our stores right across Perth. With a Huge 5.7” Quad HD screen the Note 5 is up there with the big guys when it comes to screen size, but where the Note 5 excels is in its fantastic performance with a lightning fast Octa-Core processor. The Camera on the Note 5 is 16mp, and takes great photos. The internal battery is one issue with the Note 5, but don’t worry the Ninja Techs will be here to swap it out if the need arises. Whatever you’re issue is, Phone Ninja will be here to help you out. From screen repair to battery replacement or even a camera lens fix we got you covered.